We live in a world where a thousand things scream for our attention every day. Financial pressures, demands of ever-changing technology, work-life balance – all of these eat into our headspace, and make our brains stressed, heavy, and tired. Constant stress like this can lead to reduced capacity of decision making and focus, to greater health problems. What if there was a way to stop and reset the clock, and bring the necessary level of calm back into your brain? There is one, and it is scientifically proven too. The ancient Buddhist practice of mindful meditation has been increasingly finding takers all over the modern world as a solution to refocus and rejuvenate the mind, and with good reason. There’s a lot of misconception about meditation, like it is basically sitting and doing nothing. But mindful meditation is far from that. It is a set of brain exercises that trains your mind to de-clutter itself and focus solely on the present moment instead of ruminating about the past or the future. It is an ancient practice whose amazing benefits are being recognized by modern science only recently. Turns out, practicing meditation over a long period of time can make actual, physical changes in your brain, like increasing brain volume, reducing stress and improving attention, focus, and overall psychological health. Keeps your brain young – A recent study from UCLA found that people who practice meditation over a long period actually have better-preserved brains at old age than those don’t meditate. In the study, the participants who had meditated for 20 or more years had more grey matter volume throughout their brains as compared to those who didn’t. Now the grey matter is where most of the neurons in your brain are, and it is here the most crucial brain functions like memory, decision making, self control, emotion, speech etc. Takes place. Grey matter volume decreases with age, but for those who meditate, it holds on a while longer. Helps reduce overthinking – A study by Yale University recently found that meditation decreases activity in the brain’s default mode network, also known as the ‘Me Center’, located in medial prefrontal cortex of brain. The Me Center is responsible for mind-wandering and self-referential thoughts – it is when we are not thinking anything in particular and our mind drifts from one thought to another. Now this very activity can lead to pointless ruminating about past and future and overthinking, which are all associated with increased anxiety and decreased happiness. By calming the ‘Me Center’ down over time, meditation trains our brain to dial down on overthinking and rumination. Reduces stress and anxiety – Any potentially difficult situation triggers the part of your brain known as Amygdala, the home for primal instincts like fear and anger. This unleashes the ‘flight-or-flight’ response in our brain, thereby increasing cortisol levels and stress. In our daily life, a lot of things like pain, discomfort, or uncertainty can trigger this response unnecessarily. Meditation reduces brain cell volumes in your Amygdala and forms a healthier and stronger connection between it and the prefrontal cortex – the part responsible for reasoning. Hence, you are better equipped to rationalize and assess every situation and quantifiably less stressed. 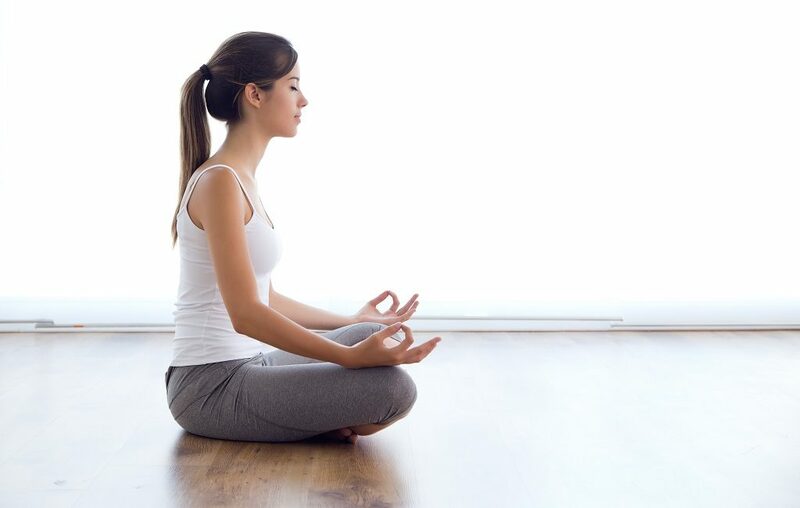 In fact, studies have found that regular and long-term meditation has almost similar effect as antidepressants on people with anxiety disorders and clinical depression. Improves memory and concentration – Just a few weeks of meditation can significantly improve your attention, concentration, and working memory. Prolonged practice of meditation has been noted to increase cortical thickness in the hippocampus, which governs learning and memory. Also, it trains your mind to focus on each and every action with clarity, and removes the distraction that mind-wandering offers. Strengthens self-control – Meditation strengthens the prefrontal cortex, thereby improving your reasoning and self-control abilities. Regular meditation can increase your self-control to amazing heights, giving clarity to all your actions and even aiding with de-addiction. Recent studies have found that smokers on de-addiction programs performed significantly better at quitting and staying clean when they meditated regularly. Meditation of course is not a magic pill that will obliterate all your problems. But it definitely is one of the most effective ways of increasing your brain power and training it to do more and better every day; now even science says so. Why not give it a try? Start Treating Your Problems Like PuzzlesReconnect with Your Old Friends. Your Brain will Thank You!